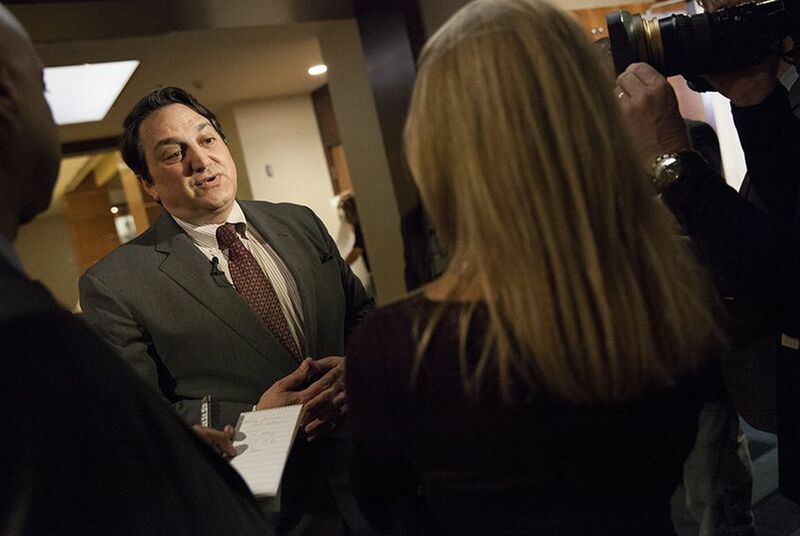 Steve Munisteri is headed home to help Texas' senior U.S. senator in his 2020 re-election bid. WASHINGTON — After two years serving in the Trump White House, a former Texas GOP chairman is coming home. Steve Munisteri, a longtime Texas Republican fixture, will begin work Feb. 9 as a senior adviser to U.S. Sen. John Cornyn's burgeoning re-election campaign. In his role, Munisteri will be the Cornyn campaign's point person with the Republican Party of Texas, as well as with the State Republican Executive Committee and county party chairs. He is wrapping up his tenure in the Trump White House as deputy assistant to the president and deputy director for the Office of Public Liaison — positions he's held since March 2017. Munisteri said he was excited to return to Texas "to help an indispensable voice for a stronger America continue to serve hardworking Texas families." Cornyn is running for his fourth Senate term. He is widely expected to coast to his party's nomination, but it is unclear which Democrat he could face in a general election. Texas Republicans elected Munisteri as their party chairman in June 2010. He stepped down from that post in 2015 to serve as a senior presidential campaign aide to an old friend, U.S. Sen. Rand Paul, R-Kentucky. He will work with John Jackson, Cornyn's recently named campaign manager.